Breathe deeply. Exhale. Relax. You're home. Can Your Jewelry Help You Manage Stress? Sleeping Pills: Health Help or Hindrance? How Do Pets Help Reduce Stress? It’s doesn’t always make the list when you’re taking stock of your life and trying to get rid of stress. But clutter is actually a huge source of stress and anxiety for many people. When things in your immediate area are unorganized and messy, it provides a bunch of stimuli input (sight, smell, touch) that your brain must then focus on sorting through, identifying, and storing information about. All that extra information hitting your brain all the time distracts you from what you are trying to focus on, and that leads to stress. This extra stimuli also makes it hard to relax in a space. If there’s clutter in every area that you spend time in throughout the day, you may never be able to truly relax. The piles of unorganized things around us can give the message that we should always be working. How stressful! Clutter can also trigger other stressful feelings like guilt and embarrassment. You might not want to invite friends over, so loneliness can be a problem when your home is cluttered too. 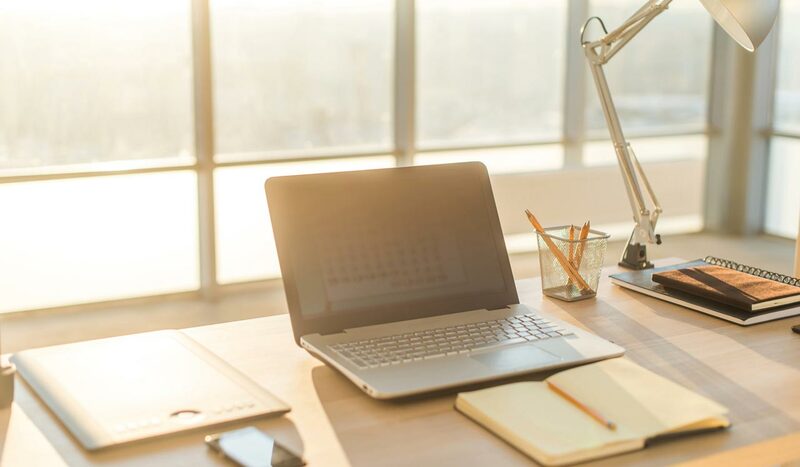 Cluttered work and living spaces can create easy spots for things to get lost, and few situations are more stressful than trying to find something important that you need by a certain time. Get everyone who lives with you involved in cleaning up the messes. Clutter is a lot easier to deal with when you have a team to do it. If you’re dealing with clutter at work, get your co-workers on board. As you put things away, create a designated spot for everything. Not only will that decrease your rate of losing items, but it will also help you avoid re-making messes later because you’ll know where everything goes. If you haven’t used something in a year or more, consider getting rid of it. You can throw away, recycle, sell, or donate items that you no longer use to create a more peaceful, organized space for yourself. Implement a one-touch system for paperwork. Try to touch each piece of paper that comes into your home only once. Sort it into recycling, shredding, trash, or filing. Deal with it and put it in whichever spot it belongs right away. Mental clutter can negatively impact your emotional and physical health just like physical clutter can. Here are some ways to decrease things that can mentally bombard you and act like clutter in your mind, stressing you out and distracting you from what you want to be focused on. Turn as many phone notifications off on your phone as you can. These incessant dings can cause your brain to place undue importance on messages and emails that are not important. Decrease your screen time. Screens can cause the brain to be overstimulated, and that’s mental clutter. Not only that, but it can also distract you from doing important tasks, which causes more stress later when those things aren’t done. Practice mindfulness. As much as you can, try to live in the moment, and put other thoughts aside. Meditation practices can help you learn to do this. Ask yourself whether a certain thought or activity is necessary. If what you’re doing or thinking about is causing you stress and it’s something you can’t change at that moment, let it go. With practice, the process will get easier.